Aside from anime and bento, Japanese culture has been a fascination of mine. I have also eaten at Japanese restos around the city but I wish they had healthier options. I kept hearing about Wabi Sabi and I had to check it out. Fortunately, they have a branch near our area. Mushroom Shumai and Chahan with Chili Oil on the side. The place was small but homey and orders were delivered fast too! The wooden interiors and furniture gave it that Japanese-y ambiance you see in historical period films and anime. It made eating here a really unique experience and the food made it very satisfying too. All their dishes do not contain any meat but you don't even notice that when you taste the food. 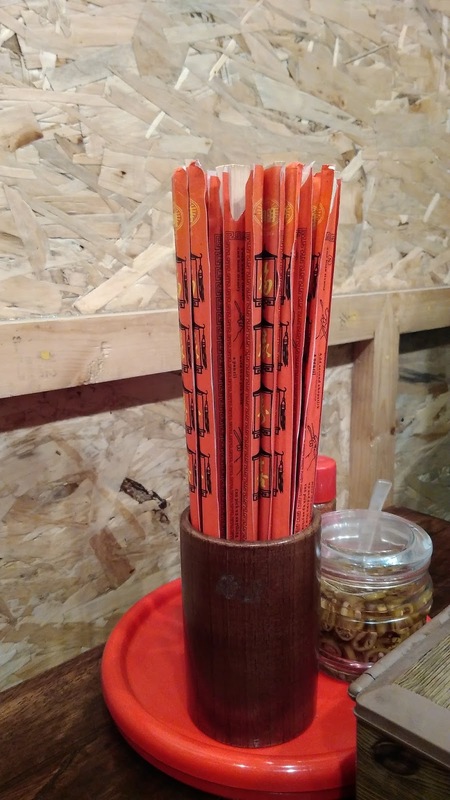 Their items are reasonably priced and you don't need to wait too long to enjoy your Japanese food fix. Plus, there are so many items to choose from. Also, their food items are instagram-worthy so take pictures first before you start to drool. 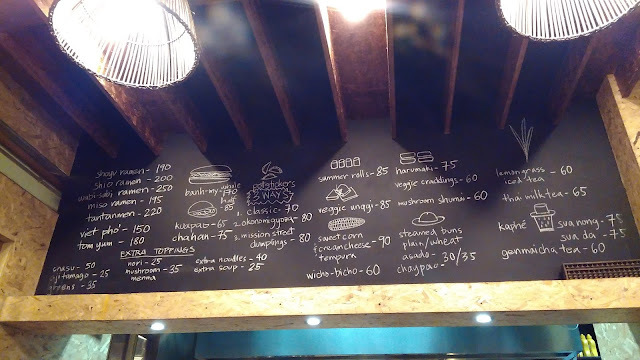 Menu on the black board. 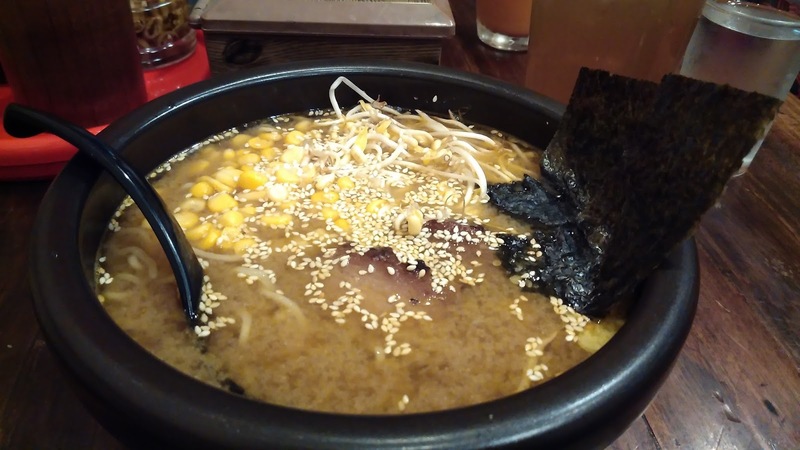 The first thing I ordered was their Miso Ramen (Php195). I love miso soup and as ramen broth, it definitely hit the spot for me. The crunchy toppings of corn and bean sprouts gave the whole dish that fresh taste. Nori is also a favorite of mine and the nori sheets gave this soup even more flavor and texture. The meat part had the texture and taste of meat so non-vegetarians would also enjoy this dish. 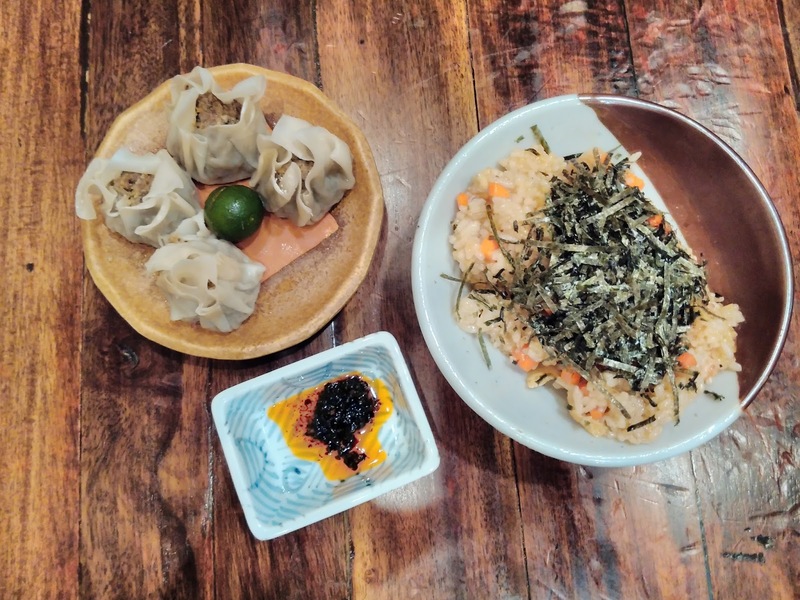 On another visit, I tried their Mushroom Shumai (Php60) which I paired with Chahan (Php75) because I also wanted to eat some rice. This is my new favorite pairing now. 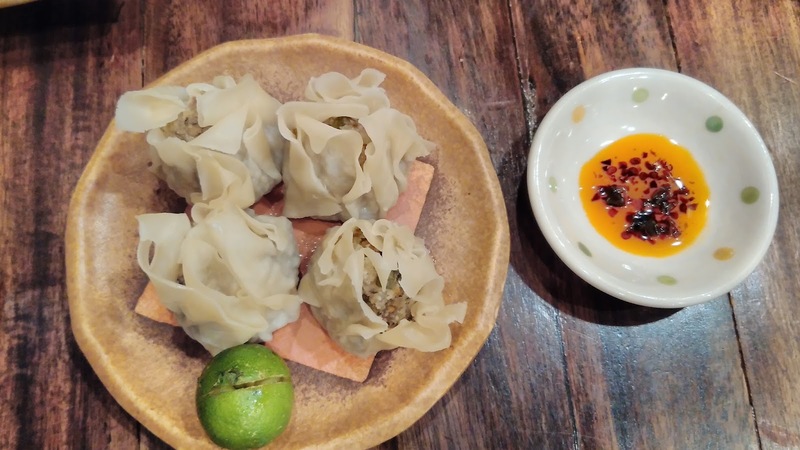 The shumai was tasty on its own and when dipped with their soy sauce and calamansi; it was even more delicious. The taste is familiar and different at the same time. The chahan really made me feel like I was transported to Japan. I had never had rice made like this in other Japanese restos which also served ramen and other Japanese food items. The rice was sticky and good for eating with chopsticks. It had a subtle flavor which I can only describe as "umami" and the carrot bits and nori strips made the rice dish even more interesting to the taste. You could just eat this on its own and call it a meal because it was very filling. Chopsticks all ready when you are. I had gone to Wabi Sabi only twice with a friend and have been very happy with what I have tasted so far. More visits are definitely in my future plans. I wonder what I will order next time? For folks who haven't visited this place, you will definitely like that their dishes are meat-free but taste delicious, maybe even better. Affordable prices and the homey ambiance will make you want to come back for more. They also have a branch in Makati which I would like to visit as well. If you have gone to Wabi Sabi, what has been your favorite dish?